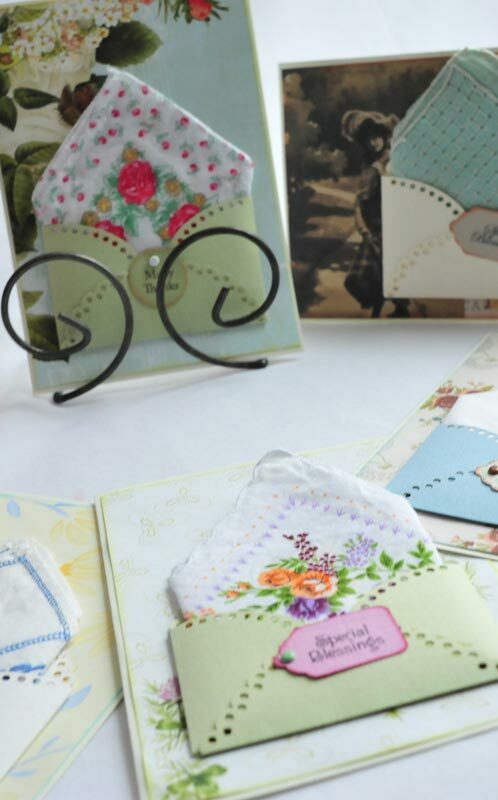 These cards are a perfect gift within a card! 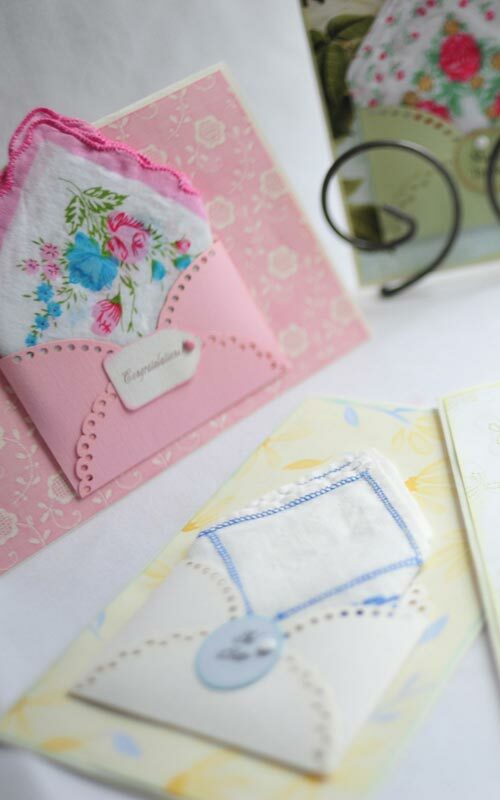 Antique and replica hankies or doilies are lovingly tucked into an outer envelope and can be removed for use. 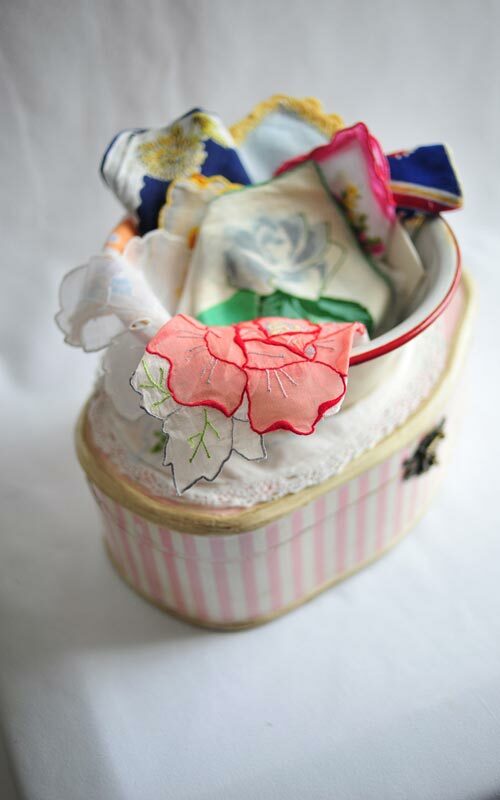 A darling gift for a bride, teacher, new baby or that special friend. Available in 5 x 7 size.